Sigma Alpha Epsilon was established at the University of Alabama in 1856. It is a North American Greek-letter social college fraternity that has a long, rich and very interesting history. Sigma Alpha Epsilon is the only national social fraternity that is founded in the Antebellum South. The fraternity is popular and large. It has about 14,000 undergraduates, 228 active chapters, more than 307,000 initiated members and 14 colonies. 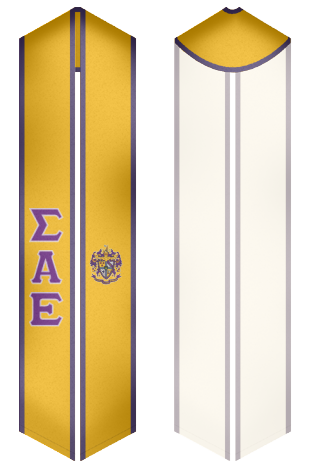 Custom Sash is an online store, where you can buy high quality and beautifully designed graduation sashes for Sigma Alpha Epsilon fraternity at the most affordable prices. 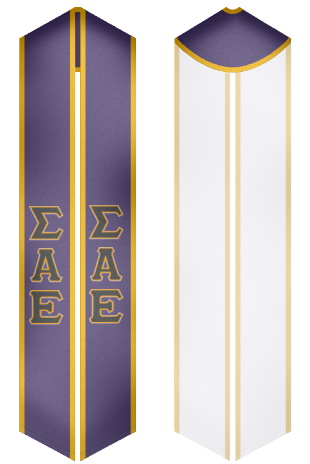 Wear a sash on a graduation day to make your event interesting and exciting! 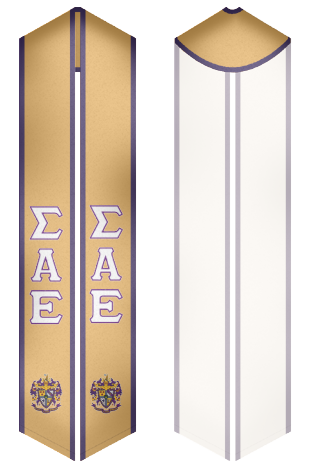 Copyright CustomSash.com. All rights reserved.